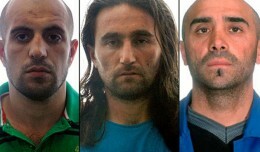 Spanish authorities have arrested three Al Qaeda operatives who had obtained explosives and had been training to fly ultralight airplanes. An all-Boeing 717 carrier backed by some serious players seeks to make a dent in the European airline industry in just a few weeks. A new forecast released on Wednesday by European aircraft manufacturer Airbus suggests air traffic in Spain will almost double by 2030, requiring Spanish airlines to buy as many as 400 new passenger planes over the next 20 years. Pilots of Spanish airline Air Europa will begin an indefinite strike on September 22, the pilots' trade union Sepla announced in a statement released on Thursday.